My daughters are very different when it comes to reading. Sarah is like me and always has at least one, sometimes two books on the go. My oldest is like her dad and reads for necessity, not pleasure. Teaching them to read was interesting. Sarah burned through phonics and early reader books like it was her job. With Ceilidh it felt more like punishment – for both of us. She was no less capable, but because she didn’t like to sit still and read through the assignments, it became a battle of wills. With all the apps and online resources currently available, a child like Ceilidh can have a very different start. We had to be very creative to keep her engaged and encouraged. 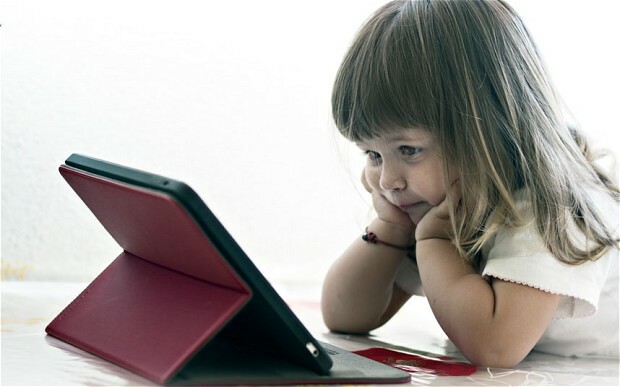 For parents today, whether you have a Sarah, a Ceilidh or someone in between, these fun and educational apps are a great resource. Duck Duck Moose Reading is built on Common Core standards and teaches kids phonics and reading skills though fun, zoo- based games. Kids learn each consonant and vowel sound though phonics-based activities and games. The relationship between what the letter looks like and what it sounds like is constantly reinforced, and game characters are attuned to the child’s successes and failures, encouraging them to keep trying. Starfall Learn to Read is based on the Starfall website. There are 15 mini books, each focusing on a vowel sound each with a fun song and a simple story line. Each page allows kids to read on their own, get pronunciation help or have the sentence read for them. When kids finish the book, there are games and videos to reinforce what they’ve learned and the level of difficulty increases with each book to ensure kids stay engaged and challenged. Monkey WordSchool Adventure is another great resource for early readers. Mixing phonics and sight reading, the app takes kids through six levels of adventures – as kids master specific skills they move to the next level. With activities like mazes, rhyming games, word searches and identifying letters in flying objects, kids are unlikely to get bored. Advancing to the next level is performance based, so as they master reading simple three letter words they move on to diagraphs and consonant blends. Big Bird’s Words is a vocabulary building app that opens with a game of “Eye Spy” in a grocery store. Big Bird then challenges the child to use his “Word-O-Scope” (the device’s camera) to go on a word treasure hunt through the house. As the child finds the objects using the camera, the app recognizes the word, sparkles, and says it aloud. 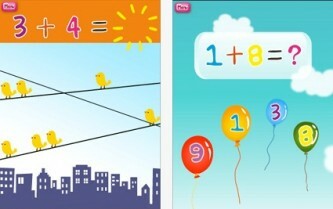 Hooked on Phonics offers an app version of its highly rated learn-to-read system. The initial download includes the entire first unit (three lessons) and one book for free but additional material is available only through an in-app purchase. 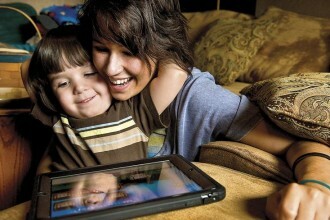 Kids reinforce learning and develop reading skills through songs, games, stories and lessons. Each skill the reader masters earns them points to be used to customize trophies celebrating their achievements.